Como cada mañana, María se dirigió a Juan Valdéz a tomar su café; acompañada de su amiga Juliana. Minutos después el mesero se acerca a la mesa y les pregunta qué tipo de café desean tomar, ellas responden y el mesero va por su pedido. Metafunciones del lenguaje según Halliday. Ideativa: Es la relación entre el sujeto y el mundo, expresando la experiencia del hablante y su forma de ver el mundo. La manera como interactuamos con los otros. María y Juliana se antojan de un café en tanto que imaginan el signo de Juan Valdéz. Interpersonal: Permite establecer relaciones sociales. Es interactiva y posibilita la expresión de los roles en la comunicación. Teniendo en cuenta que en la sociedad estamos cambiado de rol constantemente. María y Juliana llegan a Juan Valdéz y toman asiento, mientras ellas hablan llega el mesero con la carta, ellas empiezan a discutir sobre que desean tomar. Textual: Se refiere a la relación del sujeto con las producciones escritas dependiendo del contexto en el que se encuentra. Luego de leer la carta ellas responden señalando el menú, que desean un capuchino de una forma elegante. El mesero se va por la orden. Funciones del Lenguaje según Jacobson. Referencial: Habla del contexto sustentando saberes. María y Juliana sostienen una conversación a cerca de el reconocimiento que tiene Juan Valdéz. Metalingüística: Se refiere a asuntos vinculados al código, las reglas y los componentes del lenguaje. En este caso como María y Juliana están hablando en castellano, al momento de decir Juan Valdéz hacen una acentuación donde esta ubicada la tilde debido a las reglas gramaticales del idioma. Emotiva: Da cuenta de lo que se recibe del mundo, pero también de lo que se da. Plantea emociones y es subjetiva. Cuando el mesero trae en sus manos los cafés, María y Juliana se miran y sonríen simultáneamente, él pone en la mesa los dos capuchinos e inmediatamente ambas responden 'gracias' con una gran sonrisa en la cara expresando la emoción de tomar ese café del que estaban antojadas. María al probar el café exclama: "¡Está delicioso!". Conativa: Está basada en el receptor, reaccionando frente a un mensaje promoviendo una interacción. Mientras observan el café y hablan de diferentes temas, Juliana le propone a María comer un pastel de los que había en el menú, pero María no recuerda bien cuáles eran, pues cada uno se veía delicioso, entonces deciden llamar al mesero y preguntar: "¿Puede traer el menú de nuevo en la zona de postres?". El mesero inmediatamente se devuelve a la vitrina para cumplir el pedido. Fática: Establece un canal, facilitando una relación y manteniendo la comunicación. Mientras Juliana y María esperan a que sus capuchinos se enfríen un poco y llegue el postre, María le pregunta como se sigue sintiendo después de la infidelidad de Pedro; Juliana inmediatamente la evade e intenta cambiar el tema, pero María prolonga la conversación preguntádole si esta dispuesta a perdonarle y continuar con el pese a todo, Juliana la mira le dice que no toquen ese tema, pero María sigue insistiendo hasta lograr saber que Juliana ha perdonado a Pedro. The part he calls the ‘sound-image’ (the mental ‘linguistic sign’ given to the ‘thing’) he named the ‘signifier’. Sign is something which stands to somebody for something in some respect or capacity. Also is the union of the thing denoted on the mind. Peirce's basic claim that signs consist of three inter-related parts: a sign (representamen) sustitution of something, an object that is the thing that the representamen refers, and an interpretant that is the interpretation any mind make of a sign. 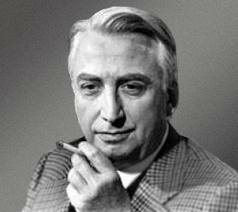 ﻿Barthes define language as a social institution and a system of value that resists the modificiations of an individual thats why is a social institution too. is the image, sound, object, etc… It is the material form that is developed in our minds as a memory. in other words is a mediator to handle the words, images, and objects in the sign equation. Based on the functionalism the study of the language that see the functions of language and its elements to be the key to understanding linguistic processes and structures he worked on the Linguistic typology that is a subfield of linguistic that studies and classifies languages according to their structural features. Also describe and explain the common properties and the structural diversity of the world's languages. Greenberg grouped the hundreds of African languages into four families, which he dubbed Afroasiatic, Nilo-Saharan, Niger-Congo and Kohisan. The original and influential linguistic Joseph Harold Greenberg was the major pioneer in the development of the linguistics as a empirical science. He contributed to sociolinguistics, psycholinguistics, phonetics and phonology, morphology, and especially African language studies. He was born in 1915 in Brooklyn, New york and died in Stanford, california in 2001. Greenberg provided original classifications for the Native American Language Groups and suggested a combination of languages from Europe and Asia. He was an elected member of the National Academy of Sciences, the American Academy of Arts and Sciences, and the American Philosophical Society. During his academic career he served as president of the Linguistic Society of America, the African Studies Association, and the West African Linguistic Society. He proposed the study of Linguistic typology, it is he study of the languages and the way how they differ from other. The last three categories are rare and normally occur in areas that have been relatively isolated. Watashitachi wa Nihongo o hanasu. -The Fula language of West Africa has an incredible number of words for cattle. One small dictionary lists no less than 82 words. Barthes describes language as a social institution and system of values with its own rules; he made a relation between a sign and a value to explain the definition of sign which is an amount of goods that can be greater or lesser. He also said that a system and a social institution are connected because a language is a system of values so it resists human or individual modifications therefore becomes social institution. Speech or discourse is when subjects express his point of view by the language, is essentially an individual act of selection and actualization. Language and speech are related, the language is important for speech is understood and speech is required so that the language is set. The language is more general, of a society, while speech is more individual, is personal. Barthes describes the signified as a mental representation of the “thing” a mental image, he talks about a “phantasia logiki” that is the mental representation it means not a real thing , it is what gives the idea; it can be seen for example by means of an image. Example: tree, is as you imagined it, with leaves or leafless. In the case of the signifier he refer to ir as a relatum whose definition cannot be separated from the signified, it can be an image, sound, object, etc… It is the material form, for example, can be given to a linguistic sign, for example: tree, we can found it in the dictionary. Syntagm: is a group of words that come together to give a single meaning to a sentence, for example, my father is professor. System: a set of signs that relate to each other, and if these change, changing others, for example, the verbal system. Denotation: When the language issues information, for example, Joel studied medicine. Connotation: the word or the phrase has double meaning, for example, Joseph is a bear. Within Semiologic prospects appear some problems, as the origin of different signifyings systems or extension of language and speech. Another problem could be the relationship that can be between language and speech, corresponded in any system. Means: signal, icon, index and symbol. Where is the signal immediate and existential, while the index is to the contrary. In the symbol of the representation is analog and inadequate and the semiological sign their relationship is unjustified and accurate and its origin is utilitarian and functional. It is the process where joins the signifier and the signified and the product is the sign, where the sign is not arbitrary, but motivated when there is relationship between meaning and meaningful and is analogue. It is related to the language, its result is the psychologise linguistics and bring it closer to the economy, proposes the example of work and reward, a signifier and a meaning (calling this signification). Also is a our perspective about a sign or something. Sign: It is something which stands to somebody for something in some respect or capacity. ﻿﻿Also, it is a union of the thing denoted and the mind. Object: It gives characteristics (describes) of something in order to identify the sign. It is describable in terms of its effects. Interpretant: "proper significate effect” of the original sign. Also, it is produced in the mind of each person. Icon: Resemble or imitate something. Index: Physically connected, show something about things. Symbol: Context, meaning by usage. -Firsteness or feeling: Prereflexive; there is no analysis, reference, comparison nor process here. It is atemporal. The places with esthetic connection are usually where firsts may be found. -Secondness: Actual existence, reality. In contrast to the firstness, there is reflection here. Other recognized as other. It is unique. -Thirdness: Relationship between events, the person mediates here. -Grammatical speculative: Find out (discover) what must be true of the sign in order that they may embody meaning. A word has a meaning as we can communicate our knowledge to others and getting others communicated knowledge, what grammatical speculative does is to allow that communication- ground. -Pure rhetoric: One sign gives birth to another- One thought brings forth another. He was born on September 1839, in Cambriage and died on April, 1914 in Pennsylvania. His father was Benjamin Peirce, was astronomist and mathematician. He studied of logic at the age of 12. Later he started University at the age of 16. Also, he was assistant at the astromical observatory. In 1862 got married and he’s got his Master in philosophy. Then in 1867 became a member of the academy of art and science. He was published ‘photometric researches’ in 1878. The Sr. Ferdinand Saussure and his Course in General Linguistic allows us to understand that the pronounciation of a word can reveal different things, for example depending on whether the word is considered as sound, as the expression of an idea, etc., it is thanks to the important ideas on structure of the language that he gave. The language is not only a concrete statement that the speakers, but a "system" in that all elements are interrelated. Saussure stablished the dichotomous formulations that playing a rol outstanding in the linguistic sign. Is fundamental to comprend some concepts as lingusitic sign that is related with the we called "acoustic image" or " signifier" that is the mental representation of the sound or signified of these idea or thing. Also we have the linguistic sign that has two features; arbitrary because the link between signifier and signified is conventional-social imposed for a community and the linear that represents a span of time in a dimension. The phenomeno sinchrony is the system of a langue in a determined time, it sets the principles of the statea lenguage. For other side is the diachrony that analizes the differences, the changes, new accents,new words in the moment, in the time. Saussure enunciates in his work the inmutability and mutability of the sign; the first take into account the signifier and their idea is fixed, not free, depending the linguistic community that uses it, and the second is about of continuity language in the time. Finally in the syntagm the terms are associated in the memory but have different results; and the paradigm are relations of sustitution. The meaning of signs BY SAUSSURE'S THEORY. A sign is the relation between signifier and signified, a signifier means an abstrac idea, sound or image of a word, and a signified means the concept of a signifier that we have in our minds. For example: Chair. -Denotative: That is the real meaning of the word that can be looked up in the dictionary. -Connotative: Is a idea or meaning suggest of a word. -Iconic: Is the representation of a concept (visual). Mutability: Is the way in which a community adopt an informal linguistic sign during a long time, so it is going to be use as a common word. *Example: "The fashion is constantly changing". Immutability: Is a static sign that have a universal signified. *Example: "The sky has not changed in thousands of years and will remain there until the end of time"
Diachrony: Analize the difference and changes around the linguistic sistem. Changing stat of a language. Synchrony: A system or code adopted by a community. *Example: "Began the yoga's class"
Paradigm: The community speech stablished rules. *Example: A family is that it consists of a father, mother and children. Syntagm: Unitary sense with the same funtion. *Example: This Saturday will be the party for his birthday. He was born on November 26, 1857, in Geneva, Switzerland, was a linguist considered one of the more recognize linguistics in the world and one of the founders of the structural grammar. He studied at Leipizing University where he met a young German group of linguists called Neogrammarians and he devoted himself to the study of the Indo-European language. Then he was a teacher of Sanskrit and of Comparative grammar in the University of Geneva and at the age of 21 published a book called 'Memory' about the primitive system of vowels in the Indo-European languages. Inside his big lessons the 'language' is as a social system and the 'speech' of an individual way, but principally the definition of sign formed for signifier and signified. He died in Geneva in 1913 and after his death his students collected the learned lessons and published a so called book ‘Cours de Linguistique Generale’. His contributions have been very important to prepare to the future linguistics, as for us to understand the meaning of through that every day we're living. Also, it's important because across it histories of evolution are planned, already be of places or of personal relations, is importance carries basically our contact with the others since we relate to peopl who handle different types of language. What does mean the lenguage, lingusitic code, speech and what is the diference? Language: Is know too as idiom. Be communicative between countries, regions, etc. "The system of words or signs that people use to express thoughts and feelings to each other." -Spanish: La casa del presidente es blanca. -English: The House of the President is white. -German: Das Haus des Präsidenten ist weiß. -French: La maison du Président est blanche. Linguistic code: Is universal. Everybody adquiring, it coul be signs, gestors, etc. "A set of standard names and abbreviations maintained for identifying human languages, natural andinvented, past and present." *Example: Greetings, when I raise my hand. Speech: Its an individual form that the people use the language. "A spoken expression of ideas, opinions, etc., that is made by someone who is speaking in front of a group of people." Paul: Hello! I need talk with you. Ana: Hi friend, I need the same. When are we meet?